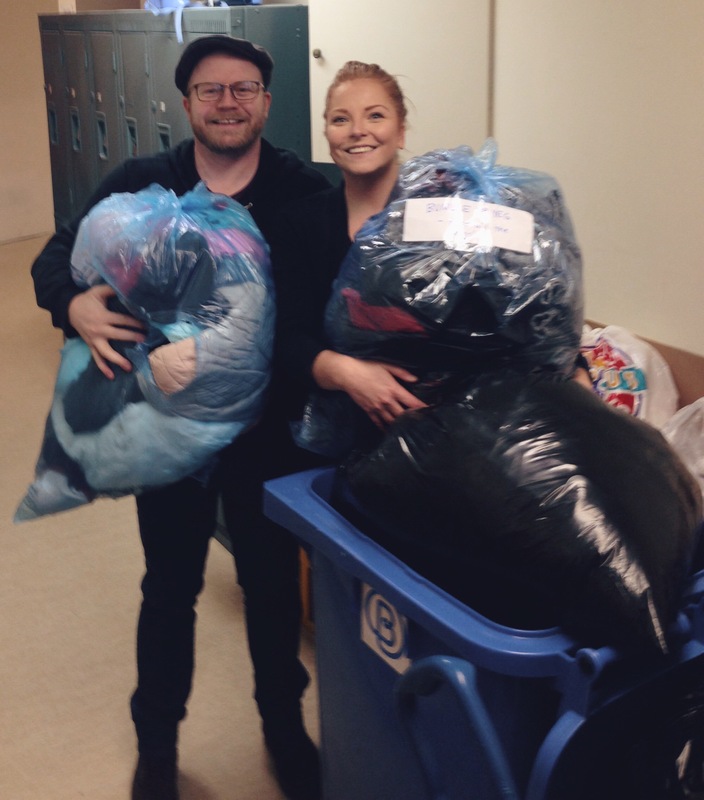 To date, #bundleupyeg has brought in 42 bags of clothing since launching Nov.1! 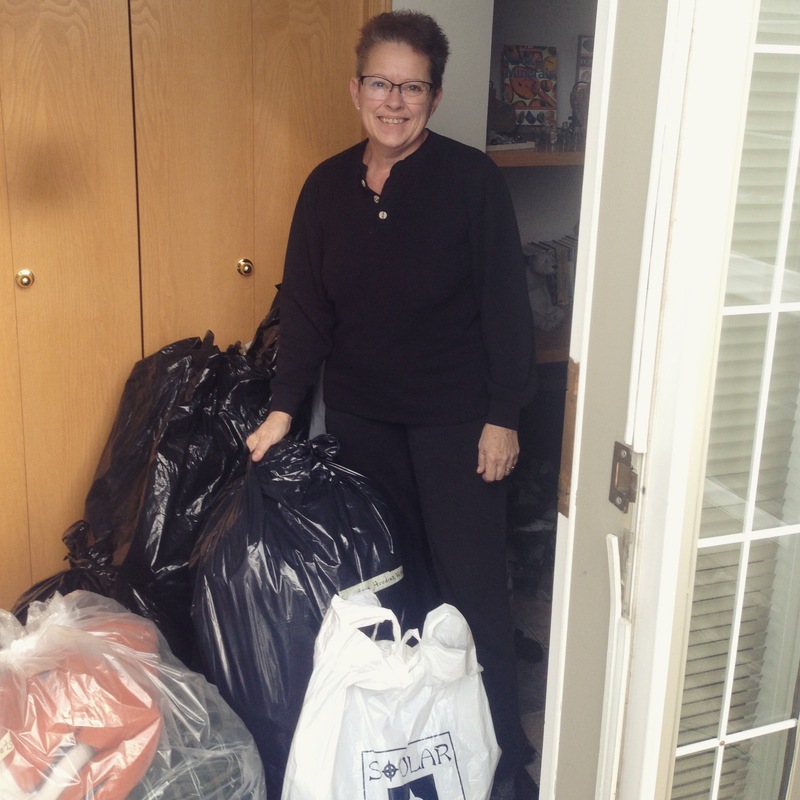 Thanks to a donation from long time #bundleupyeg supporter and donor, Edie, we added an 7 bags to our collection on Wednesday, Nov.15 bringing us to that 42 bag total. Edie (pictured below) has been donating to us since the first year this initiative began and we are so grateful for her support. There’s an entire bag stuffed with socks amongst these donations! Today, (Thursday, Nov.16) my wonderful parents Bill and Maria delivered 32 of our 42 bags to The Bissell Centre! 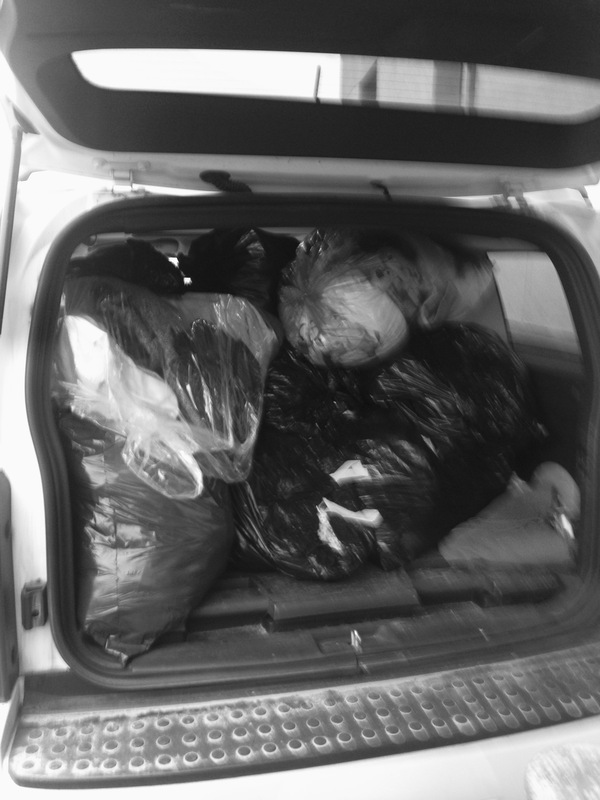 We are so grateful to have their support and help get these donations to the shelters as fast we can upon collection. Thanks to the help of Bissell staff Devin and Nichelle, the bags were quickly loaded into the Centre and sorting began that same afternoon to get clothing items of need into the Bissell’s Community Closet! Let’s keep those donations coming in folks! For more information on how to donate, or what to donate, please visit our “Donate” page of the website. We are two weeks in to the campaign and going strong. We’ve got this Edmonton!